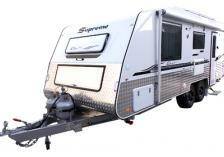 Supreme Caravans are this year celebrating 30 years in the caravan industry. 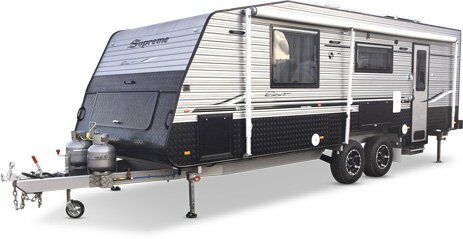 Based in their modern factory in Campbellfield Victoria, they are one of Australia’s leading Caravan manufacturers, with a reputation for tough, high quality RV’s. 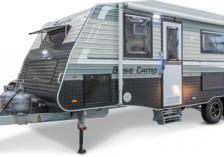 With Off Road, Semi-Off Road, touring and Luxury models there is a large range for you to choose from and you can get to know the range here at Dave Benson Caravans Adelaide. 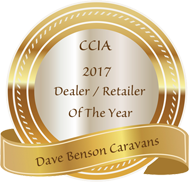 Dave Benson Caravans currently offers 7 premium Supreme models– Classic Limited Edition, Classic Tourer, Executive, Base Camp, Spirit, 30th Anniversary and Territory. 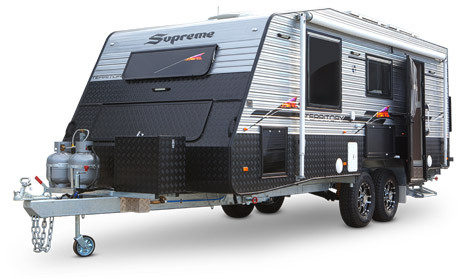 The latest Supreme model, suitable for the seasoned pro or for the beginner. 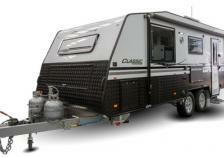 This base level caravan is full of outstanding features, including a stunning interior that is surprisingly luxurious. 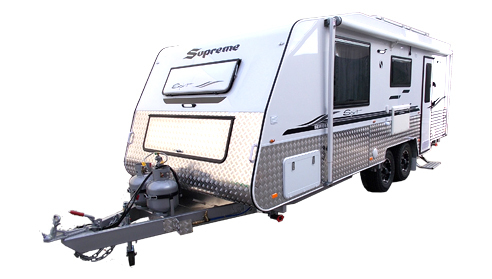 The Supreme Classic Limited Edition Caravan ticks all the boxes and more! 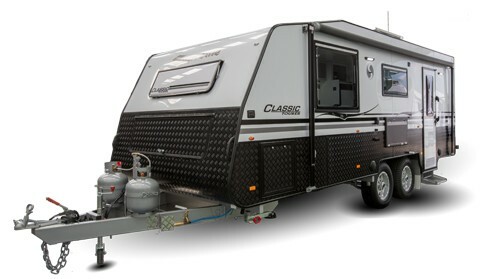 The base model has every home comfort – Full Ensuite, Full Kitchen, Double Door Fridge, Oven, Solar and Battery Management System. 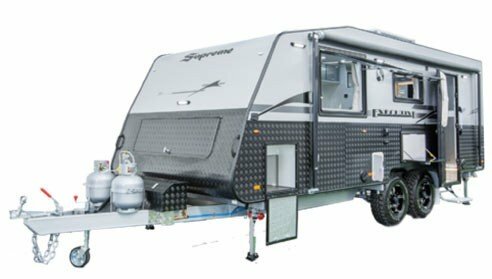 This modern and stylish van boasts high gloss furniture as a standard and with the aluminium composite cladding is sharp and stylish. 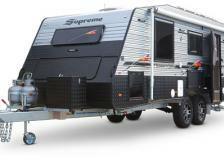 As you would expect the executive Caravan from Supreme comes with a host of standard features to make even the longest trip comfortable and enjoyable. A real “home from home”. 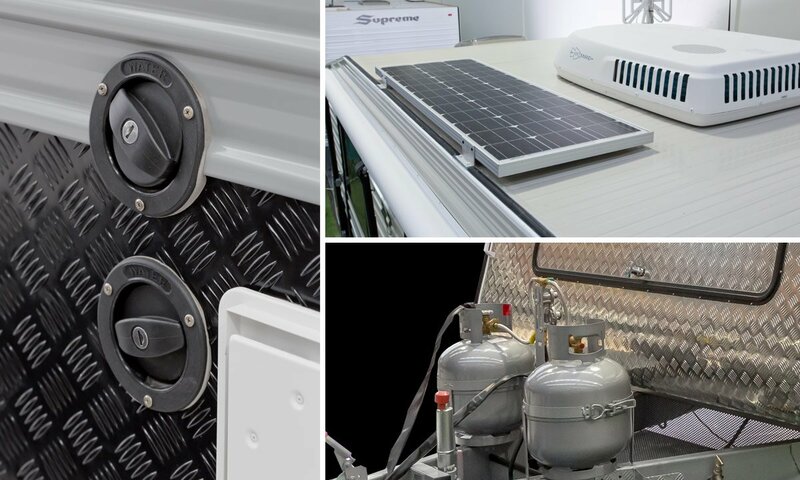 Equipped with ample storage for bicycles, motorbikes and more, you won’t have to leave anything behind. 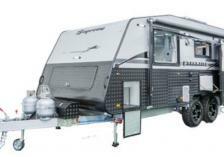 This van is ideal for the adventurous at heart and people who like to stay active. 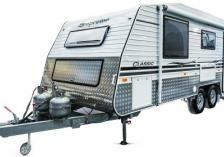 The premium Spirit Caravan is packed with features that will impress even the most demanding traveller. This model will not only ensure that you go the distance – it’ll allow you to do so in maximum comfort. 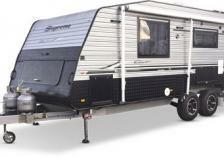 Supremes Territory Caravan will enable you to access some of Australia’s more remote regions with ease. 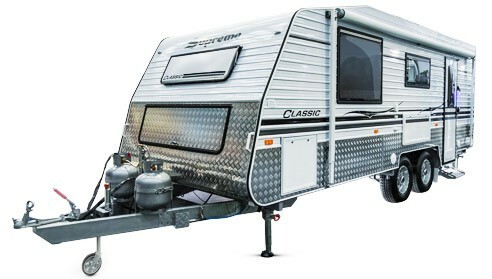 Creature comforts and great off road capability give you the best of both worlds.